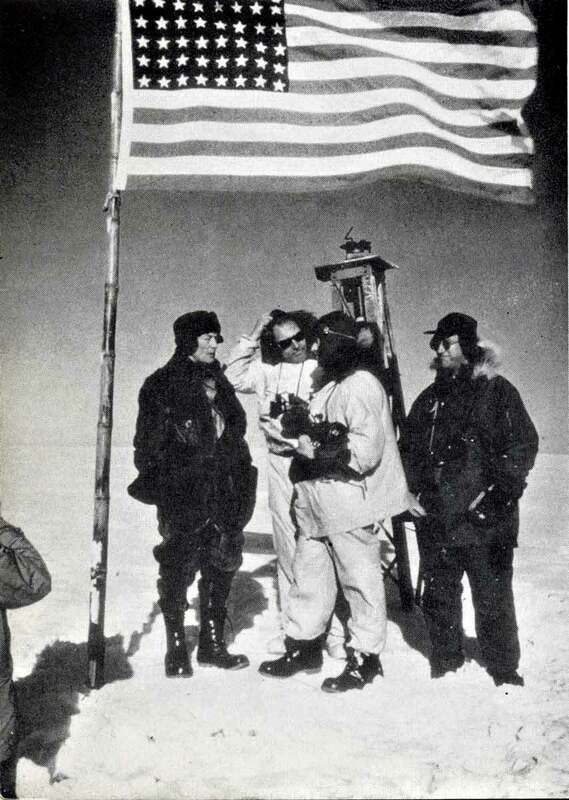 In January 1956, Admiral Richard E. Byrd (left), Paul Siple, Major Murray Wiener USAF, and IGY representative Edward Goodall stand in front of the Little America I/II radio antenna towers. The top of this tower was originally 70' above the surface of the Ross Ice Shelf on which the station was first constructed in 1928-29. For some reason the abandoned buried station (30 miles west of LA5) was a frequent VX-6 tour stop for the media and DV's during the original Deep Freeze years... Hmmm. Photo from 90° South, © 1959 by Paul Siple; G. B. Putnam's Sons.